Crafting your own personal budget is something that is very empowering. Although it may feel very tiresome at first, doing this is the way that you are helping yourself to become free from the constant grind of having to work your whole life. 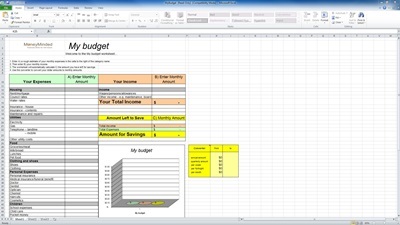 The personal budget Excel spreadsheet helps you to see where you money is currently going in order to help better get a grip on the places where you can tighten the budget, and the places where you can ease up a little. By using this spreadsheet, you are helping yourself to a better and brighter financial future.